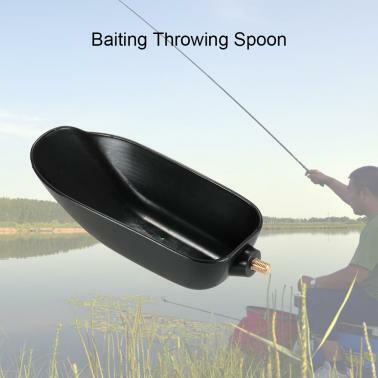 This large baiting throwing spoon can hold more fishing bait and ensures them remain grouped for accurate feeding at longer distance. What's more, it also makes feeding easier than ever. 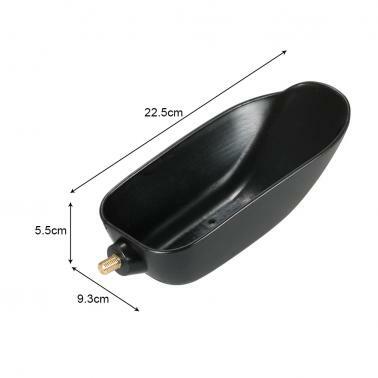 Perfect for fast and efficient mass baiting from boat or river bank. Made from high strength PP material, lightweight and easy to cast. 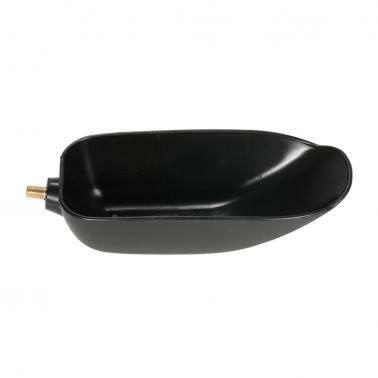 Large baiting spoon, holds more fishing bait and ensures your baits remain grouped for accurate feeding at longer distances. 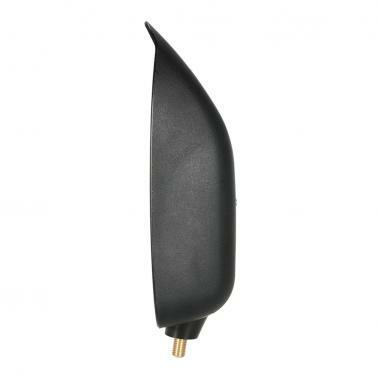 Its shape allows it to double as a great launcher for bait, making feeding around easier than ever. M3/8 thread fits standard handles. Perfect for use with particles, corns, pellets, ground baits, etc. Great for fast and efficient mass baiting from boat or river bank.